Claire and Jane team up once again with Mat Fernandez, to pick out some of their favourite films from this year’s BFI London Film Festival. 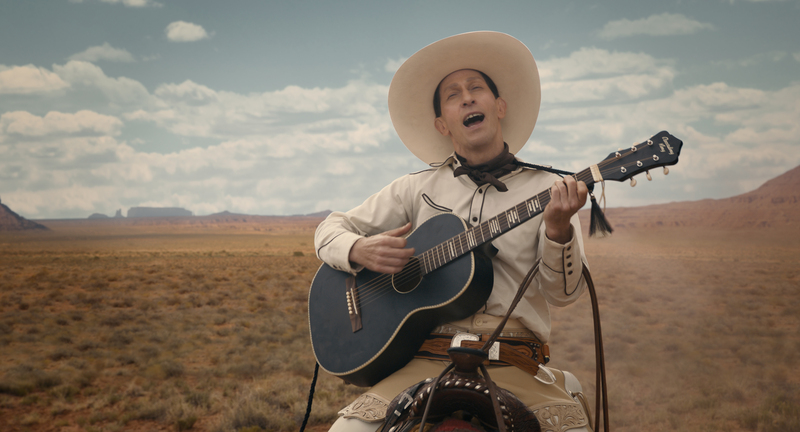 Reviewing COLUMBUS, THREE BILLBOARDS OUTSIDE EBBING MISSOURI, HOW TO TALK TO GIRLS AT PARTIES, WONDERSTRUCK, BRAWL IN CELL BLOCK 99, LAST FLAG FLYING, CALL ME BY YOUR NAME, LUCKY, GOLDEN EXITS, THE MEYEROWITZ STORIES, LADY BIRD, DOWNSIZING, KILLING OF A SACRED DEER, JANE, BLADE OF THE IMMORTAL, YOU WERE NEVER REALLY HERE, BATTLE OF THE SEXES, WESTERN, and MINDHUNTER. 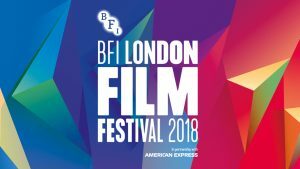 Jane and Claire pick out some of the highlights from this year’s BFI London Film Festival, which runs from 4th-15th Oct. It is nearly that most glorious time of the year again, October. My favourite month, mostly because it is the month in which the BFI holds its annual London Film Festival. 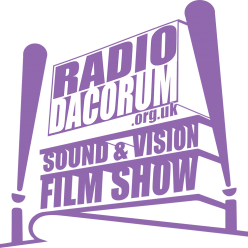 This year celebrates 60 years of the film festival and this year’s programme reflects this diamond anniversary, not just with its sparkling colour theme but also with its shining line up of films. The line-up is a stellar list with almost all the big hitters which have appeared at Cannes, Venice and TIFF. This year I was fortunate enough to attend the press release at the Odeon Leicester Square and it was very difficult not to get sucked in to the electric excitement in the room as Claire Stewart announced one exclusive title after another. The most interesting thing about the press release was seeing the trailers and clips from each film. Seeing these really opened me up to films which I would probably have ignored in the past, so if you’re trying to decide what to see at the festival, I strongly advise doing some research into titles you may not have thought to see. You might just find some diamonds that you thought were in the rough. So what is there to see this year? Well the answer, I’m afraid in a good and bad way (good because there’s lots of great films to see, but bad because there aren’t enough hours in the day), is a lot. So here’s a brief rundown of what’s appearing. From the director of 2013’s ‘Belle’ comes another real life story focusing on race relations and racial discrimination. It follows Prince Seretse Khama of Botswana (Oyelowo) who chooses to marry a white woman from England (Pike), which is followed by outrage from both countries at his choice. I’ve seen the trailer for this twice now (you can watch it here http://www.imdb.com/title/tt3387266/?ref_=nm_flmg_dr_1) and although it does have a melodramatic, romantic style, it does still have something important to say about racial attitudes, something that is still very prominent in our current society. Sam McCurdy’s lush cinematography paints a beautiful backdrop of Africa for the story, making it well worth seeing on the big screen. Opening night gala screening on 6th Oct, also screening on 11th Oct. This is Ben Wheatley’s second consecutive appearance at the festival after last year’s fantastic ‘High Rise’ and this year’s ‘Free Fire’ looks just as, if not more, exciting. We were very fortunate to see the trailer at the press screening as an exclusive. I don’t want to jump the gun (and there will be plenty of guns), but I think this could be Ben Wheatley’s best cinematic outing so far. Set in one location (one of my favourite film concepts), two gangs meet in a warehouse to do a deal which turns sour, leading to an ultimate game of survival. If you enjoy Ben Wheatley’s work or enjoy epic gun fights, this one is for you. Another highly anticipated film comes from the ‘Whiplash’ director Damien Chazelle. At only 30 years old Chazelle is already creating master pieces and I expect La La Land to be no exception. Again we were lucky enough to see a clip at the press launch, and although there was little dialogue or hint at plot, I found myself being captivated. It has the feeling of a Woody Allen film crossed with a Stanley Donen musical. If you’re a musicals fan I strongly suggest you see this one, otherwise you’ll be waiting until January to see it. Expect to see this as an Oscar contender. This years stunning BFI restoration is Arthur Robison’s ‘The Informer’, bought to you in all it’s lavender tinted glory. Expertly restored, the image leaps off the screen, engulfing you in the action. It follows the story of Gypo Nolan (Hanson), a conflicted man who is torn between loyalty, honestly and survival. With it’s newly commissioned score by Garth Knox, this will be a wonderful piece of event cinema that you won’t want to miss. Be prepared for something a bit different if you go to see Park Chan-Wook’s latest offering ‘The Handmaiden’. The director of ‘Oldboy’ and ‘Stoker’ is known for is visual flare and sometimes shocking scenes, so expect this to be no different. Set in 1930s Korea, this tale of manipulated young woman is bound to be fascinating. Set in 1980’s Miami, we follow to story of Chiron (Sanders) through his life from adolescence to adulthood as he struggles with his sexuality and the world of drug trafficking. A film I probably would have possibly overlooked if I hadn’t seen clips at the press launch, it’s worth seeing this potential Oscar nomination. You may note the lack of cast listed above. No, this isn’t a mistake, there is no cast in this dialogue free animation. This visually stunning looking animation is a co production from Studio Ghibli and Prima Linea Productions and promises to be a must see at the festival. Like other Ghibli films, this is best suited for older children as well as adults. This deep documentary which some have dubbed an extended version of the ‘creation of the universe’ sequence from ‘Tree of Life’, is visually stunning and paired perfectly with Blanchett’s smooth Australian tones. A must see in the cinema. This is always a highlight of the festival for me and is often a chance to see something exclusive a long time before its release date. Last year’s offering was ‘Anomolisa’ which was shown a full five months before it’s UK release and had Charlie Kaufman in attendance. In 2014 we had Inarritu’s ‘Birdman’ three months before release, which went on to have a large presence at the Oscars. So if you like a gamble and could potentially get something fantastic to watch, this screening is for you. Possible films include Jeff Nichols ‘Loving’, festival friend Edgar Wright’s ‘Baby Driver’, Pablo Larrain already has ‘Neruda’ at the festival but could the surprise be his other film out this year ‘Jackie’, or Morten Tyldum’s ‘Passengers’, who previously closed the festival with ‘The Imitation Game’. But your guess is as good as mine really. As tastes vary, I have asked my fellow Sound and Vision colleague Claire to put forward her selections from the festival to give you a broader picture. Chazelle + Gosling + Stone + romance + jazz + LA + Hollywood musicals = a dreamy, unmissable OSCARs frontrunner. Screening on 7th, 8th & 16th Oct.
A touching & hilarious comedy from Germany, about a father’s misguided attempts to inject some humour back into his stressed-out daughter’s life, via a series of bizarre pranks. This year’s big hit at Cannes. Screening on 8th & 9th Oct.
One of two David Lynch documentaries in this year’s programme, (along with Blue Velvet Revisited), this promises to take us on a journey through the art & life of Lynch, and has the bonus of being narrated by the great man himself. Sure to be wild at heart and weird on top. Screening on 9th, 10th & 11th Oct. Completely bonkers musical revue oddity from 1930, filmed in glorious two-colour Technicolor, and now restored to the most complete version seen in decades. Tickets go on sale to the public on the 15th of September. Claire and Tony serve up a film festival special this week, with reviews from this year’s FrightFest, and a look at some of the treats in store at next month’s BFI London Film Festival.